Thinking of having a party soon? Bowling is an economical way for people of all ages to have fun! Customize your party: Take elements from other packages, add more games or time, upgrade your food or beverages, request special entertainment, arcade game cards, or book your event during our Galaxy Bowling times. 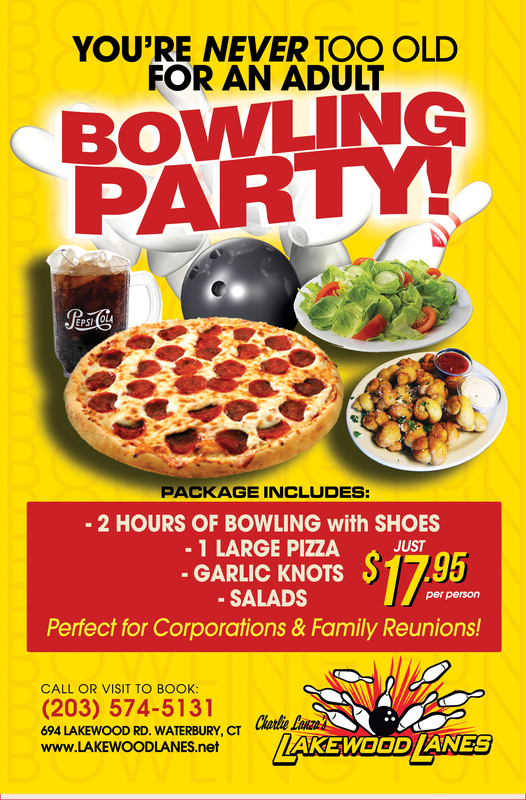 E-mail us or call (203) 574-5131 to plan your party today! Check Our Our Adult Party Commercial Below!